Congratulations to WesternU’s APhA-ASP/CPhA chapter for bringing home 1st place in the Student Film Festival at WPE! The College of Pharmacy is proud to offer an outstanding cutting edge curriculum, state of the art high tech classrooms, inter-professional education experiences, and a talented group of faculty and staff committed to the success of students. Welcome to the Western University of Health Sciences College of Pharmacy Website. The College of Pharmacy at WesternU in Pomona, California is an exciting place to visit and an exciting place to learn. I hope that you will use this Website to explore our academic programs, learn about our outstanding faculty and read about our many accomplishments. Dr. Huang has been with the College of Pharmacy since 2006. She was recently awarded $409,223 in funding from the National Institutes of Health (NIH) through an R15 grant entitled “Topical Delivery of Non-β-blocking R-carvedilol for Prevention of UV-induced Skin Cancer”. This three-year project addresses the unmet need of skin cancer, the most common type of cancer worldwide. The proposed studies aim to repurpose R-carvedilol, an enantiomer in the racemic β-blocker carvedilol, an FDA-approved cardiovascular drug, for skin cancer prevention. COP Faculty Drs. Bradley Andresen and Dr. Jeffrey Wang along with COMP Faculty Dr. Cyrus Parsa serve as co-investigators. For more news about Dr. Huang click here. Dr. Sanchez has been with the College of Pharmacy since 2011. He was recently awarded $423,000 in funding from the National Institutes of Health (NIH) through a R15 grant entitled “Manipulation of Type I Interferon by HIV Infection”. This grant is based on the finding that HIV infection is able to persist in a person even though the human body has strong antiviral defenses though the Type I Interferon system. The overall goal is to better understand how HIV is able to continue replicating in the face of this innate immune response and look for molecular interactions that could serve as future drug targets. The health implications of these findings will be focused on developing new therapies that allow the immune system to stop HIV replication in individuals living with HIV. In addition to research, Dr. Sanchez teaches in the Immunology course for first year pharmacy students. For more news about Dr. Sanchez click here. Discover more about the events that have transpired over the year, and the many accomplishments of our college, students and alumni. Read our latest issue of RxBound to learn more about Western University of Health Sciences, College of Pharmacy. On March 1, 2019, the National Association of Boards of Pharmacy released their NAPLEX results for all schools of pharmacy 2016-2018. We are very pleased to report that our 2018 graduates had a first-time passing rate of 97.62%. This places our 2018 graduates at #3 in California (less than 1% point from the top spot) and #15 in the nation (out of 134 schools). The purpose of this course is to provide essential Spanish for pharmacy consultation. The course will include online modules, didactic, and interactive learning. The course will provide modules in cultural sensitivity and Spanish medical terminology. Students enrolled in this elective will facilitate workshops in Spanish consultation for beginner, intermediate, and advanced learners..
Western University of Health Sciences College of Pharmacy Dean Daniel Robinson, PharmD, has been inducted into the California Pharmacists Association (CPhA) Hall of Fame. He joins 42 pharmacists and is one of only four deans to receive the recognition since it was first awarded in 1997. Robinson was inducted into the Hall of Fame during the California Pharmacists Association awards ceremony at the Western Pharmacy Exchange on April 13, 2018, in San Diego. Click here to read the full story. Member of the WesternU College of Pharmacy Dean’s Advisory Council, Victor Law, was unanimously elected as President of the CA Board of Pharmacy, at the May, 2018 Board of Pharmacy meeting. Congrats Dr. Law! Victor Law of Los Angeles was appointed to the California State Board of Pharmacy by Gov. Edmund G. Brown Jr. in 2012 and reappointed in 2016. Mr. Law has been chief pharmacist and president of Alpha Medical Pharmacy Inc. since 1987. From 1982 to 1986, he held several positions at Thrifty Corporation, including pharmacy manager and staff pharmacist. He was a staff pharmacist for Sav-On Pharmacy from 1979 to 1981. He has been a member of the California Pharmacists Association since 1982 and has served as president of the San Gabriel Valley Chapter. Mr. Law has been chairman of the United Pharmacists Network Inc. since 2006. He served as chairman of Garfield Medical Center in Monterey Park and was a governing board member at San Gabriel Valley Medical Center. He is a member of the National Community Pharmacists Association and serves on the dean’s advisory board for Western University of Health Science Pharmacy School, Keck Graduate Institute and Marshall Ketchum School of Pharmacy. He earned his bachelor of pharmacy degree from the University of Oklahoma in 1976. His term will expire in 2020. At the National Lipid Association Scientific Sessions held in Las Vegas, NV from April 26-29, 2018, Dr. Eric Gupta, Associate Professor of Pharmacy Practice and Administration at Western University of Health Sciences was installed as President-Elect of the Pacific Lipid Association, one of five regional chapters of the NLA covering the states of Alaska, California, Hawaii, Idaho, Montana, Nevada, Oregon, Utah, and Wyoming. The NLA is an interprofessional organization consisting of lipidologists from medicine, pharmacy, nursing, dieticians, and other health disciplines. Western University of Health Sciences’ RxBound magazine won the CASE District VII Award of Excellence Silver Award in Special Constituency Magazines. 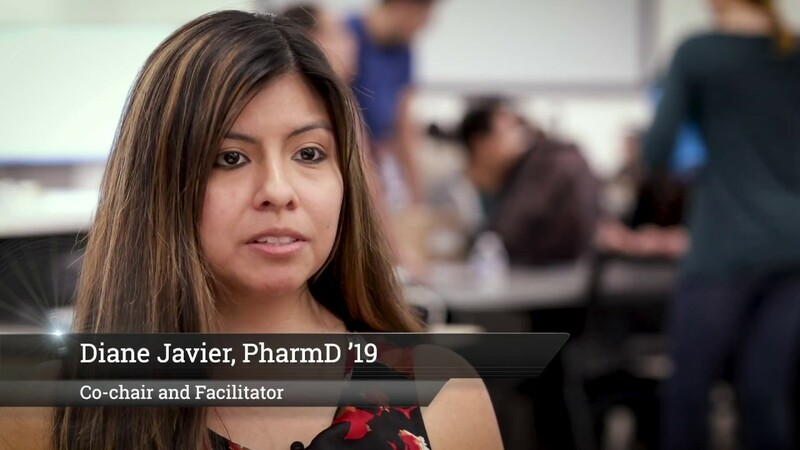 RxBound is a joint effort of the College of Pharmacy (COP), University Advancement and University Public Affairs, and is published biannually for alumni, faculty, students and friends of the College of Pharmacy. WesternU Summer Health Professions Education Program (SHPEP) students participated in a hands-on workshop making hand cream and lip balm in the WesternU College of Pharmacy Compounding Lab. WesternU was one of 13 institutions nationwide hosting SHPEP, which encourages underrepresented students to enter health professions. Click here to view the video. The Master of Science in Pharmaceutical Sciences (MSPS) program in the College of Pharmacy has been recognized as a top national program and “hidden gem” at the MS level, according to an external peer review. To read the full article click here. Only nine fellowship programs in the U.S. meet the American College of Clinical Pharmacy’s (ACCP) rigorous standards and guidelines for certification. Western University of Health Sciences’ College of Pharmacy has two of them. The ACCP Board of Regents and the ACCP Research Fellowship Program Peer Review Committee re-certified the COP Department of Pharmacy Practice and Administration Chair and Professor Dr. Anandi Law’s Fellowship in Health Outcomes for a full five years. This certification recognizes that her program meets ACCP Fellowship Guidelines. A full review is conducted on established fellowship programs and preceptors who have graduated two or more fellows. For the full article click here. The Pharmacy in the Patient Care Center (PCC) at Western University of Health Sciences now has a secure dropbox to assist the local community with the disposal of unnecessary and expired non-controlled medications .